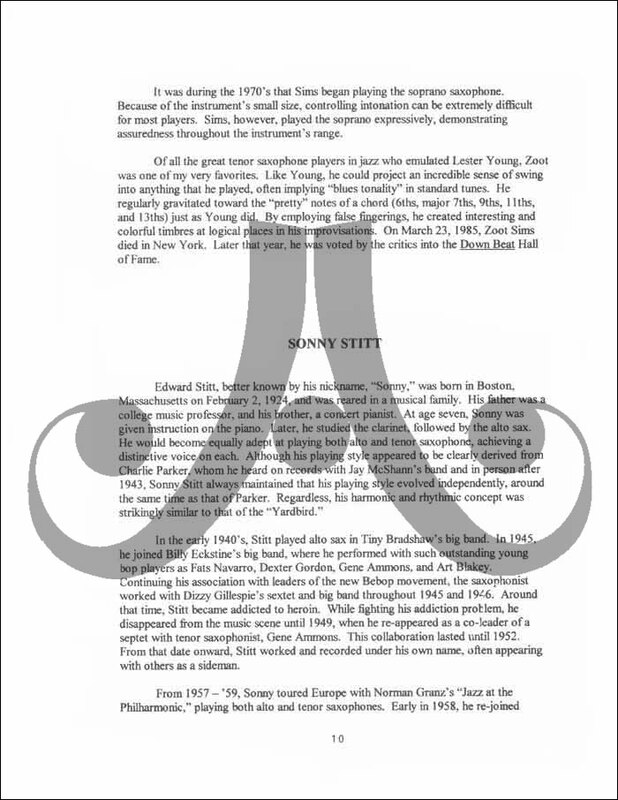 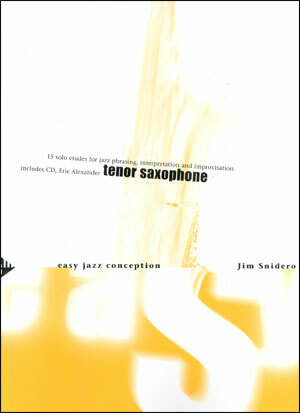 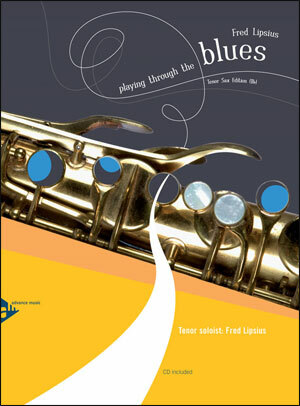 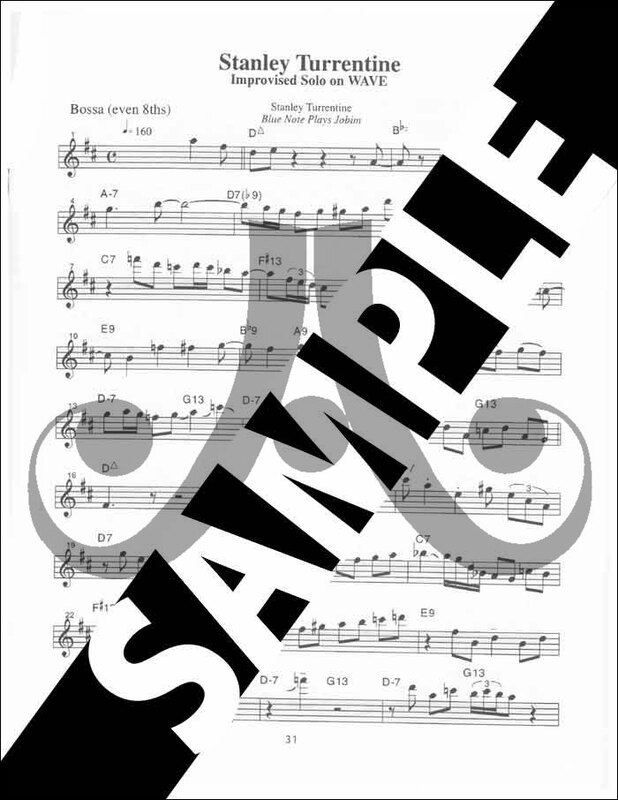 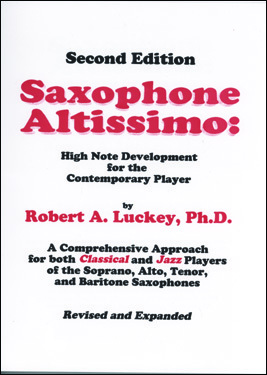 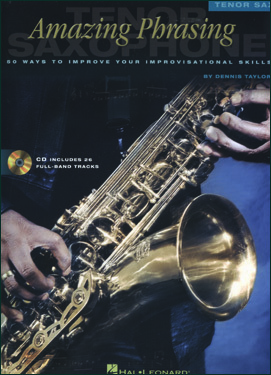 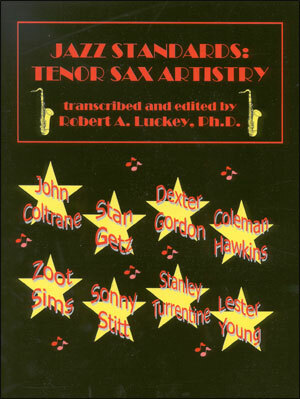 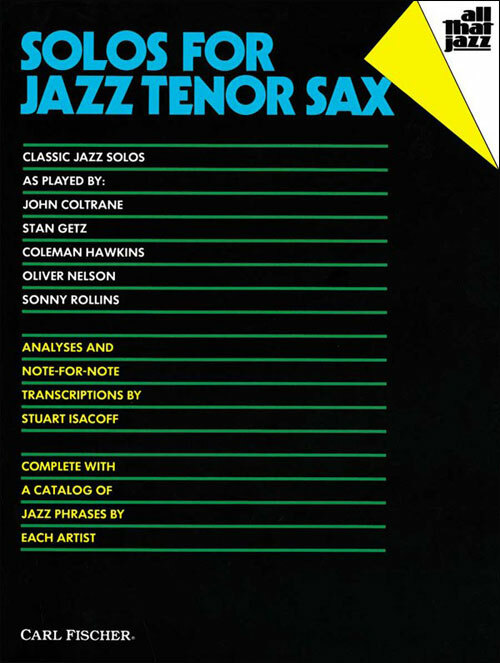 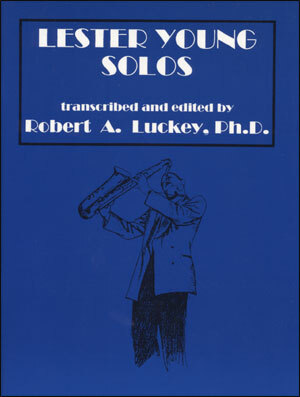 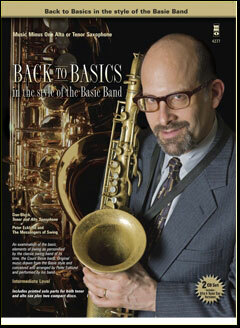 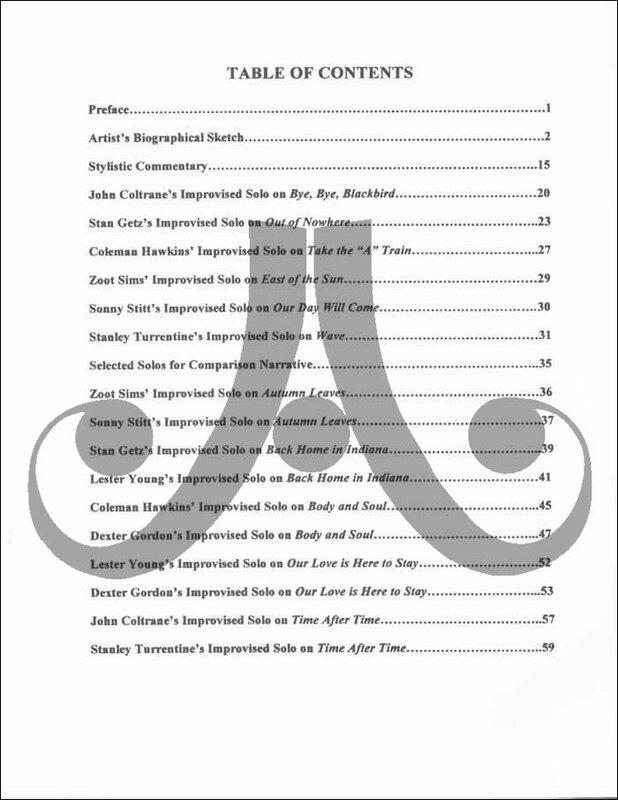 Transcribed solos from the masters such as John Coltrane (Bye, Bye Blackbird, Time After Time), Stan Getz (Back Home In Indiana, Out Of Nowhere), Stanley Turentine (Wave, Time After Time), Dexter Gordon (Body And Soul, Our Love Is Here To Stay), Coleman Hawkins (Body and Soul, Take The A Train), Zoot Sims (Autumn Leaves, East Of The Sun,) Lester Young (Our Love Is Here To Stay, Back Home In Indiana) and Sonny Stitt (Our Day Will Come, Autumn Leaves) over the world's greatest stadards. 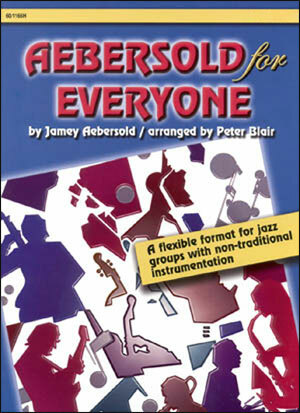 Each tune is represented twice by different artists, allowing for fantastic style comparison and analysis. 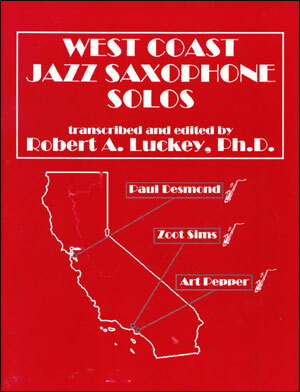 Includes biographical information and stylistic commentary.